With an endorsement like that how could I say no to an innocuous looking bit of ‘rotten Greenland shark’ while in Iceland? 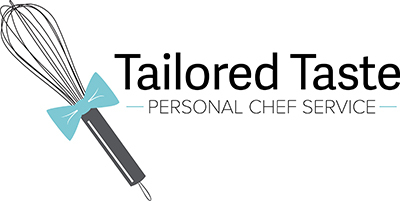 My host, Chef Tyffi Tyffasson, stopped me as I lifted the sugar cube-sized bite toward my mouth, saying “Wait, you must have some Black Death to go with it!” Well, okay then. So he poured a shot of Brenivin aka Black Death, a caraway liqueur reminiscent of Aquavit, as I popped the shark into my mouth. Hmm…chewy but so far ok. Then suddenly my eyes widened as the putridness flooded my mouth. 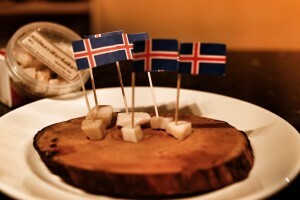 Reflexively, I downed the Brenivin which it did its job washing away all nasty traces of the hákarl. All over Iceland, in fine restaurants and at simple hot dog stands, the food was surprisingly good for a volcanic island with a very small agricultural industry. The hákarl was a bit of a shock as several other Icelandic oddities such lamb dung-smoked trout and herring several ways turned out to be utterly delicious. 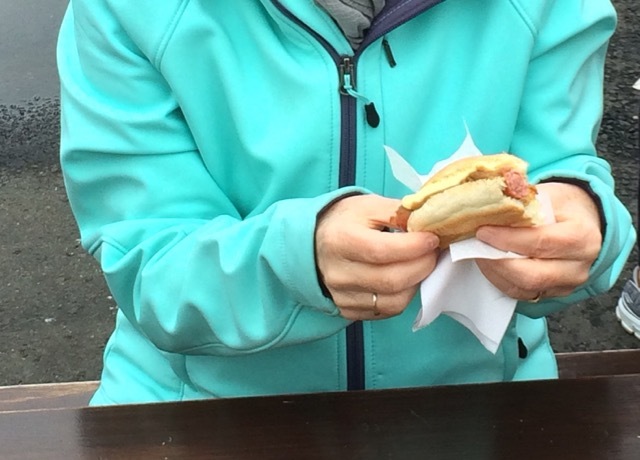 About those hot dogs – who knew Reykjavik was known for its hot dogs? Made with lamb versus questionable scraps and topped with a melange of items including raw and cooked onions, remoulade, ketchup and mustard, the street snack is really tasty. Apparently the hot dog vendors do a land-office business late at night after the bars close. 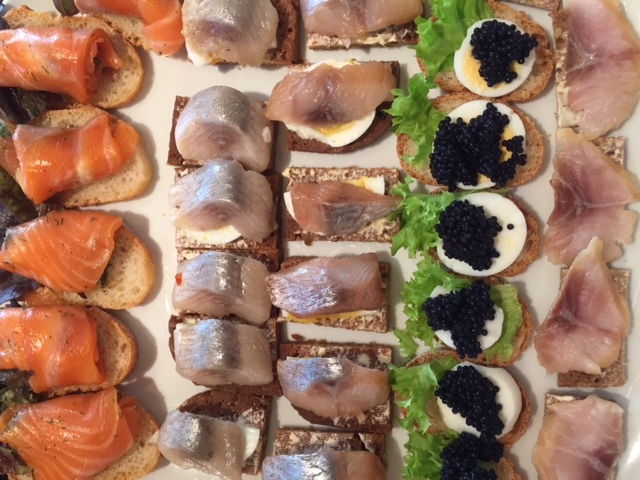 The foods of Iceland were the bonus of the trip. It was the landscape and the sky that enchanted me. Clouds, rainbows, waterfalls, geysers and mineral-rich lagoons combined to make this vacation one of the best I’ve ever had. I love experiencing new places, new foods and meeting new people. Iceland had it all and I very much want to return!